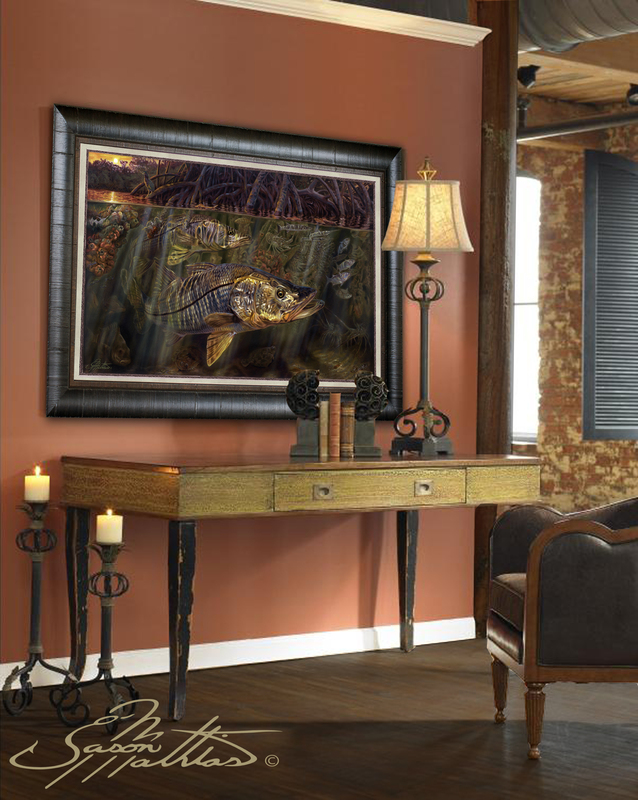 In this vision, renowned artist Jason Mathias portrays the sheer beauty, importance and interconnectedness of a complex estuary mangrove ecosystem. 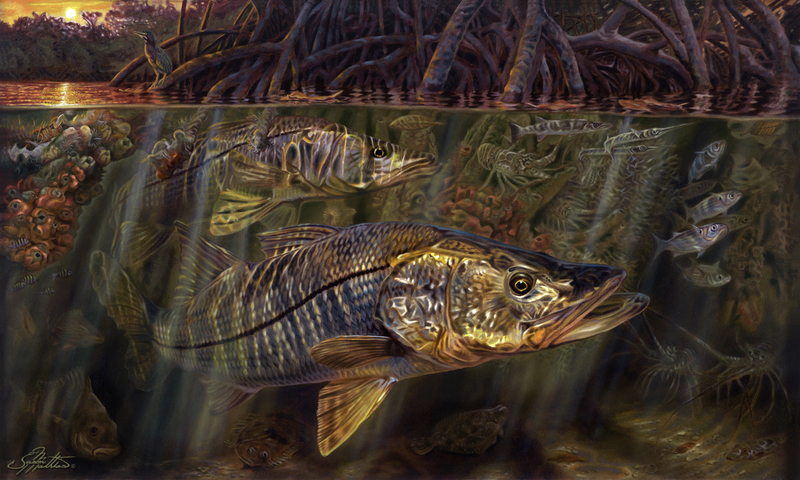 Within this brilliant composition you will find two adult Snook scouting their territory while some of its local inhabitants blend into the background habitat. Among them; if you look very closely you will find a Seahorse, Sheepshead, Mangrove Snapper, Checkered Puffer, Lobsters, Needlefish, a juvenile Barracuda, a couple Flounders, juvenile Hogfish, Sargent Majors, Mudfish (Seaweed Blenny), a Little Green Heron, Mullet, Feather Duster Worms, Sea Sponges and a few oysters.